One day I was experimenting on better uses of purple corn juice in beverages and how to make it cheaper when marketing. Then I thought of one of my favorite drinks–lemon and honey. I can make them a base for my purple corn juice and come out with a new delicious beverage–Purple Lemon Honey. So what I did was to make a regular lemon juice sweetened with honey, added 30 to 50 ml of purple corn juice, and put in lots of ice cubes. The result? Lychee flavored juice! So, with that, you can sell purple corn juice cheaper. Put out an ad that says, “Purple Lemon Honey in Lychee Flavor,” and sell a tall icy glass (about 250 ml) for P20 to P25. If you don’t have lemon around, try kalamansi. Lemons are rich in Vitamin C and antioxidants like hesperetin and naringin that fight free radicals and protect DNA cells. It also has some Vitamin A, some B complex, and some minerals like potassium and calcium. Kalamansi, on the other hand, is said to have more Vitamin C than lemon. Moreover, it has some Vitamin B, niacin, riboflavin, calcium, protein, and iron. Honey is said to be 80 percent natural sugar, 18 percent water, and 2 percent vitamins, minerals, pollen, enzymes, and protein. 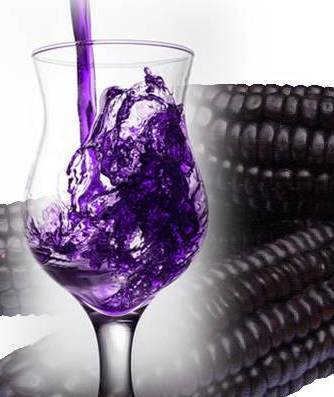 The moment your customers see “purple corn juice from Peru,” they’d start getting curious, ask you about it, and likely buy. Not many beverages today–if any–offer something like that. And it will help to have a bottle of purple corn juice on display on your booth so you can easily point to it when customers start getting noisy. They may even buy one bottle or come back to get money to buy one. So, keep several bottles in your booth, just in case. How Much Purple Corn Supplement is Enough for Health? It’s funny how some people try purple corn supplements for a day or two and then expect tremendous results. For instance, there was this guy with difficulty breathing who tried one purple corn capsule. When nothing changed in his health the next day, he decided it wasn’t effective. So, how much purple corn supplement is enough for health and healing? It’s like food–how much of it is enough to get rid of hunger? It’s never enough. You have to eat food daily, 3 times a day. And in reality, it’s like this–say, you’ve been starving for 10 years, eating nothing but a small piece of bread daily. If you start getting good nutrition and enough food, you can’t take big amounts at once in one sitting. You have to eat a little at a time which may not satisfy your ten-year starvation all at once. The same with health supplements. One capsule cannot undo your years of eating food laden with chemicals and toxins, plus the pollution around you. You will have to take natural health supplements for life, with or without ailments. The same is true with purple corn supplements. Set a budget for it to be taken daily as long as you live. You don’t solve your body’s need for nutrition in one sitting with one meal. It’s funny if you think your body nutritional needs can be solved permanently with one meal. You will have to eat 3 meals daily to do this. And you need to set aside a daily budget you plan for a week or month. However, it so happens that food today are no longer packed with the nutrition we need. Food today, even “fresh” vegetables and fruits, are not that nutritious anymore. We have to accept this fact. So we need to take natural food and health supplements. People with closed minds still mock and laugh about natural health supplements, until one day serious ailments conquer their bodies and they realize too late. Well, in a way, often it’s not too late, but they need to take mega doses of natural supplements for them to work, and no guarantee at that. Curative remedies are more expensive and risky. So why wait till it’s too late? If you’re contemplating a traditional (trad) business selling purple corn, you can do it best with purple corn juice liquid. There are two reasons for this–you can sell it pure in bottles, and you can mix the liquid juice in other fruit beverages or desserts. With the latter, you can make purple corn juice liquid more affordable. Especially in Manila and other places where people prefer buying in small amounts than in bulk, mixing purple corn juice liquid with other fruit juices or desserts and adding the cost to the price can make you a better business than selling it pure in big bottles at high costs. Purple corn juice is compatible with shakes, sundaes, fruit salads, and fruit beverages, giving them added flavor, quality, and health value. Add purple corn juice to ice cream and soda or milk shakes. 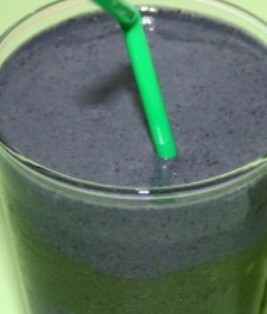 After making the shake, add a 60 or 70 ml portion of purple corn juice like a syrup. Or, mix it along with the milk and ice cream. It also gives the finished product a unique color. 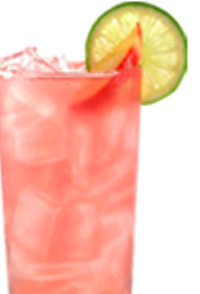 Works best with vanilla, strawberry, and cheese flavors–though it works well with any flavor. It may even neutralize the sugar content of the shake, making it a “healthy” shake. Top ice cream sundaes with purple corn juice. It can go well with thick chocolate toppings, too. You may also add in some fruits like bananas, peaches, or apples–or a combination of them. You may also create a purple corn sundae by mixing the juice into the ice cream during the churning process and before freezing it. Thus, you can also have a “healthy” sundae this way. How about a mixed fruit salad con chicha morada on your dessert menu? That would be different and arouse curiosity. Simply mix the juice into the salad together with the dressing and cream, You get a unique salad color, flavor, and added health value. This is simpler to make. Just blend all the fruits together with the juice. You may add milk or a small scoop of ice cream on top. If you want pure, healthy fruit drinks, then blend everything pure plus the juice. Then charge extra for the cost of the juice. If a bottle of 1000 ml costs you P800, simply divide 1000 ml by 60 or 70 ml. You get 14 portions of 70 ml each from 1000 ml. Then divide P800 by 14 to get your cost per portion, which is P57 or say P60 per portion. Then add P65 or P70 to your shake, sundae, or salad cost. We all are guilty of unhealthy eating now and then, even health buffs. Sometimes we find ourselves in places where no healthy foods are available. Eating in vegetarian restaurants is no guarantee that we’re eating healthy. Even some vegetable protein processed products are unhealthy. Not only that, some “fresh” vegetables are not really that fresh. Especially in Manila, most eateries and fast foods around here serve unhealthy foods mostly fried in overused cooking oils. And often, you have to dip them in unhealthy sauces or gravies. The worse thing is, you have no choice but to eat them. And while you eat them you might as well enjoy them, because after all, you have no choice. That’s why you need to take natural food and health supplements regularly, like purple corn supplements. Purple corn has anthocyanin, an antioxidant, that helps fight toxins in food, plus its carcinogens. Commercialized food carry great amounts of fats, carbs, and chemicals in the form of preservatives and coloring, plus the carcinogens produced by re-heating fast food. That’s not to mention the carcinogens in grilled or roasted food, or food cooked through direct contact with fire. 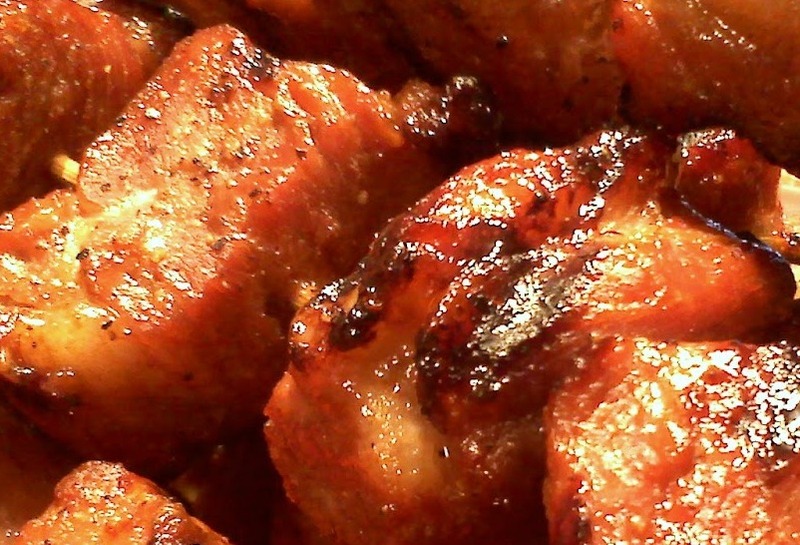 We enjoy these meat foods because they’re juicy and tasty. But their sellers never tell us how they are full of carcinogens that may lead to cancer. With regular intake of purple corn supplements, we get enough antioxidants like anthocyanin, and Vitamins C and E, to fight carcinogenic materials that destroy our body cells. Even if we find ourselves with no option but to eat unhealthy foods, we can neutralize their bad health effects with health supplementation. But this does not mean we can now enjoy eating unhealthily with the availability of purple corn supplements. It’s not a license for us to eat anything we want–or do any vices we want, for that matter. Supplements are just small helps to our health. They are not designed to make us totally immune to unhealthy eating habits or lifestyles. So, take purple corn capsule supplements with you when you go out of the house. Take a blister to have enough. Or take a small bottle (250ml) with you in case you get caught in a “trap” of eating in unhealthy fast food stores. Preventive health measures are always better than curative measures. Appetite control is key to losing or gaining weight. Some people want to lose weight. Some people need to gain. For either aims, purple corn supplements are helpful. It helps regulate your appetite for food–it can help lessen your food intake if you need to lose weight and help trigger your appetite if you need to gain weight. Some experts call this our body’s natural balance or homeostasis. A healthy body naturally and automatically balances everything in it–fat storage, cholesterol, bacteria or gut flora health, sleep, and appetite. A healthy body always gets rid of anything it doesn’t need and retains enough of what it does need. You won’t have to worry about balance. So, what you need is normal body health–which purple corn can help give you. If you take enough of this health supplement, it will help your body regulate food intake. If you lack enough nutrients because you don’t eat well, purple corn will help your appetite pick up a bit so you’d eat enough. However, it’s up to you to eat healthy food, not unhealthy, junk food. Purple corn will just assist you tickle your appetite. What you eat is entirely up to you. If you have excess food intake, purple corn can help you reduce food intake by regulating your appetite. You will find that you feel full most of the time. A lot of purple corn supplement users report this phenomenon most of the time. The same with sleep. If you lack sleep, purple corn intake may help you feel sleepy often. But if you sleep too much, it may make you energetic to keep alert during the day and feel less sleepy, giving you enough amount of sleepiness at night. A lot of purple corn users report of having energy through the day and not feeling tired or sleepy. But when night time comes, they sleep soundly. 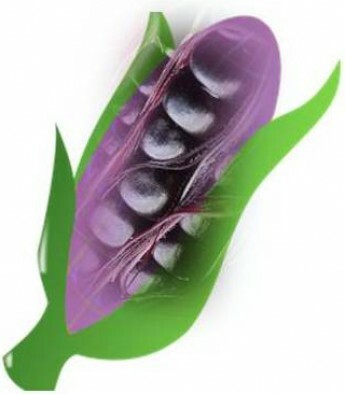 Purple corn helps make the body healthy and able to balance things to promote further health. With its rich Vitamin C and E contents, it can powerfully make our bodies healthier and go back to their normal functions–especially the part involving balancing acts. With its antioxidant, anthocyanin, it can help fight off free radicals that destroy the natural health balances of our body. 1. Always read. Reading is one of the best ways to power up the mind and prevent it from being idle. Remember, mental idleness is the best way to weaken the mind and even damage it eventually. 2. Always try to figure out new things. Never tire of learning new things or taking up new learning no matter your age. Read stuff that don’t usually interest you. Or play chess and other mind games. For instance, if you’re not a numbers person, try to study books on numbers like accounting, engineering or even finances and investments. 3. 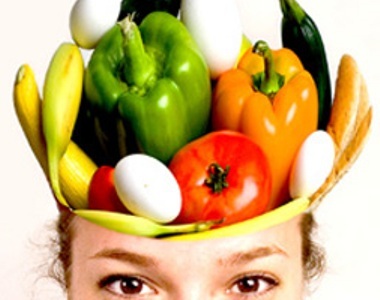 Eat more healthy brain food. Eat enough nuts and whole grains now and then. Eat fish rich in omega-3 fatty acids like salmon, mackerel, and trout. 4. Eat more tomatoes and Blueberries. Fruits like these have powerful antioxidant properties that fight oxidative and free radical damage and protect body cells, including brain cells. 5. Eat Broccoli. This vegetable is noted for its Vitamin K which is famous for enhancing brain and cognitive powers. 6. Last but not least, take purple corn supplements daily. First, it is rich in Vitamin C that protects body cells from damage or aging, including brain cells. Second, purple corn anthocyanin is known for its mind sharpness properties, especially in terms of preventing blood vessel clogging in the brain area. Both adults and kids can benefit from purple corn mind sharpness benefits. If you’re past 25 years of age, experts say your cell health begins to decline. That includes brain cells. Thus, you need to be taking health supplements that work at the cellular level like purple corn supplements. Pollution from air, water, and environment plus chemicals in food all contribute to the deterioration of body cells, and eventually mind sharpness. To make matters worse, the “nutritious” foods we eat do not really have enough nutrition to supply our bodies with. The length of time they are kept in freezers or grocery shelves and the method of preparing and cooking them take much away from their nutrition. Recent health studies show that you need more Vitamin C daily to lose weight, and that people who find losing weight difficult is likely to be lacking adequate amounts of Vitamin C in their bodies. Vitamin C has to do with the fat burning properties of carnitine stored in the body. This fat-burning substance is triggered to action by Vitamin C.
Thus, when you seriously lack Vitamin C, you’re likely to be overweight and find it hard to reduce weight. Sometimes, no matter how hard you diet and exercise, your weight doesn’t change–you may even seem to be gaining more. And it’s all due to a severe lack in Vitamin C. What do you do? Eating natural foods rich in Vitamin C may help some, but it’s not the main solution. Most foods we believe to be rich in this vitamin actually have less of it due to Vitamin C evaporation. It’s easy to lose this vitamin when you mishandle food or allow it to be exposed too long to the sun or the elements. The best way to get the vitamin from natural food like citrus fruits is to eat them as soon as they’re picked from their trees. But that’s often near to impossible to do. So we remedy this by supplementing with natural food supplements rich in Vitamin C. And one of the most powerful ways is taking purple corn supplements. Purple corn, especially coming from Peru, is rich in Vitamin C. And taking natural Vitamin C is the best way to get non-acidic Vitamin C so we can take enough to sustain our needs for the day. “Enough” is not taking 1 capsule or one sip a day. Most times, especially if our body functions need so much from Vitamin C–like getting immune boosts and helping you lose weight–one dose is not enough. Unfortunately, you cannot take more than 1 dose of synthetic Vitamin C a day because of its acidity, harming you more than providing you health protection in the long run. But with natural Vitamin C sources like natural purple corn supplements, you can take enough without side effects. Just take purple corn daily to get your natural Vitamin C requirements. The recommended dosage is 50 t0 60 ml of liquid purple corn juice a day or 2 to 3 times of 500 mg purple corn capsules a day. There’s no overdose because natural Vitamin C is easily eliminated from the body everyday. Your body does not store Vitamin C. However, harmful residues from synthetic Vitamin C may be accumulated in your body and do you harm later.